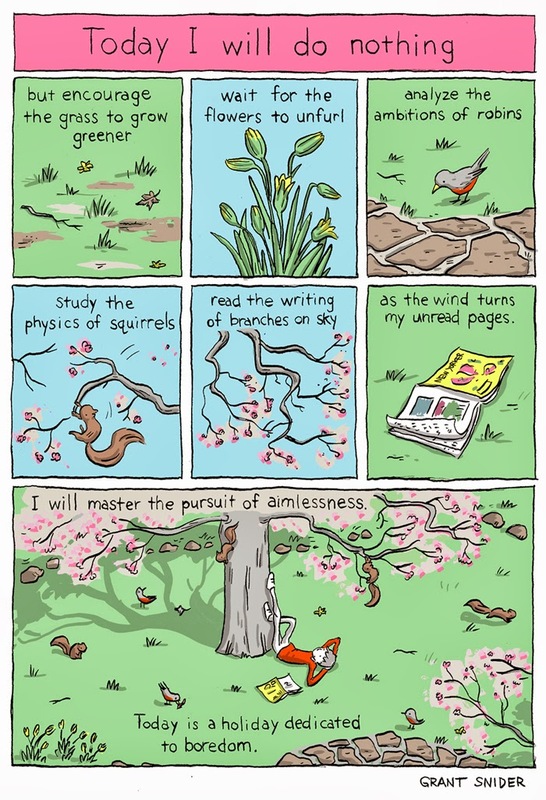 Found on INCIDENTAL COMICS and is reprinted here with permission. Grant Snider's interests have changed drastically since he was four years old - with the exception of dragons, dinosaurs, and drawing. Grant's first published cartoons appeared in the University of Kansas student newspaper, followed by a weekly strip called "Delayed Karma" for the Kansas City Star. His comics and illustrations now appear in newspapers, books, magazines, and across the internet. He lives in Wichita, Kansas with his family, where he practices orthodontics and webcomics.